Greatly improving our davening over- night is probably not going to happen. But that isn't even expected of us. The gemara in B'rachot that states that T'FILOT AVOT TIKNUM, that our patri- archs set the precedent for our davening three times a day, supports each of Shacharit, Mincha, and Arvit with a pair of p'sukim. The first pasuk in each pair is about something Avraham, Yitzchak, or Yaakov did. The second pasuk of the pair associates a key verb in the first pasuk with prayer. Using just the example from Parshat Chayei Sara, towards the end of the sedra the Torah tells us that Yitzchak went out to converse in the field before evening... Then the gemara quotes T'hilim 102:1 indicating that SICHA (conversing) means T'fila, prayer. 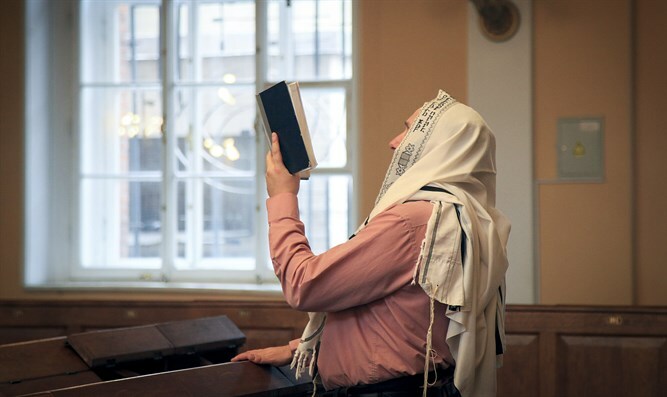 From the pair of p'sukim we have the picture of Yitzchak Avinu praying in the late afternoon - hence the gemara attributes the Mincha prayer to him. But we also should look at the spontan- eous prayer of Eliezer, when he arrives at the stream and well and realizes that he hasn't a clue as to how he should discharge his sworn duty to his master Avraham. He immediately - and ponderously (as evidenced by the SHALSHELET note on VAYOMAR) turns to G-d for help. Actually, Eliezer is not clueless as to what to do about finding a suitable wife for Yitzchak. He devises a test of the kindness quality of the girl and asks G-d's help in making things come out all right - actually, much more than all right. When he realizes his extraordinary success in finding Rivka, he turns once again to the G-d of his master Avraham, and thanks Him for his help. Between Yitzchak's Mincha at the end of the sedra, and Eliezer's prayer for help, we find two different facets of davening. Not that we don't see Yitzchak and Rivka praying for G-d's help. That will come in the beginning of next week's sedra. And don't forget Avram's and Yaakov's prayers - both the attribution of Shacharit and Maariv respectively, as well as prayers of need at different times. Our Sages have composed for us the daily prayers, ones for Shabbat and Festivals, and many mini-prayers (B'rachot) for all occasions. We script in hand, so to speak, we are almost covered when it comes to prayer. Almost, but not quite. We need to be able to do at least two things when it comes to prayer. One, personalize and internalize our prepared texts for davening. Not easy to do. Davening three times a day, every day, can see us going on auto-pilot without concentrating on what we are saying. We are continually challenged to daven with KAVANA, with understanding what we are saying. With meaning what we are saying. Two, we need to take seriously the point in the AMIDA that we can say whatever we want to HaShem. In any language, with any words, on any topic. This is not just something that is available if we really need to speak to G-d. To ask something of Him. Look at number 5 of Rambam's 13 Principles of Faith, as they are popularly known. I believe with perfect (complete) faith that the Creator, blessed be His name, is the only One to whom it is proper to pray, and that it is improper to pray to anyone else. The second part is easier to understand and relate to. We don't daven to saints, angels, tzaddikim, Chassidic Rebbes, graves of parents or righteous people, the Kotel, Kever Rachel... and so on. We only daven to HaShem. We will go sometimes to special places to be inspired and elevated to pray to G-d on a higher level. But we only pray to Him. But the first part of this fifth ANI MAAMIN is sometimes short-changed. It is much more than if you want to daven, daven only to HaShem. It is also a matter of our faith that we should strive to daven the required davenings AND to pray to G-d in all situations. This includes good times as well as bad times. This means davening to HaShem for help in our earning a respectable parnasa, livelihood. But it also means thanking Him when things are going well. We have ample warning in the Torah and rest of Tanach that we must beware of patting ourselves on the back when things are going well. We must do whatever we can do to help ourselves - but we must never forget that G-d is not only the Creator, but the Master of the Universe, and He maintains a supervision and an active role in things that go on in this world. Jumping again, why is the halacha such that if we forget to ask G-d for blessed rainfall with the words V'TEIN TAL UMATAR LIVRACHA, and give (us) dew and rain as a blessing, that we have to repeat the Amida, in essence nullifying 19 brachot that we just recited. If we don't ask for TAL UMATAR, look at what we did say: V'TEIN B'RACHA. What's so terrible in our asking for a blessing and why is the entire Amida just recited nullified for leaving out those two little words. Aside from halachic technicality, there is another point that our Sages were emphasizing. We are supposed to ask G-d for our needs as individuals, as part of the Jewish People, and as human beings, members of the family of mankind. And when a person does not take care to daven correctly, he is showing - perhaps subconsciously - that he really doesn't believe with complete and perfect faith that G-d is the right address for his every request. Simply put, do you believe that G-d is responsible for every drop of rain that falls or not - and that it is not high and low fronts, cold and warm front, and a whole bunch of other meteorological forces which are responsible for rainfall. All the forces of nature were created by G-d. They have their Laws of Nature to follow. But it is G-d Who created the laws of nature. And it is He and He alone who can change natural events as He sees fit. If we really, really believed that, we might never miss a TAL UMATAR or anything else in the davening. Chazal could easily have said that if we forget TAL UMATAR, don't worry - at least you asked for a blessing. Remember next time. But they chose to make us realize how powerful is our prayer and serious we should be about it. What is expected is that we should make slow progress, but steady prog- ress, towards better davening, towards better Torah learning, towards better mitzva-observance, towards more acts of chesed, towards improving our relationships with our fellows... We are human, with phenomenal capacity for being better Jews and better people. Let's work on it - seriously.